Mark Davies is a founding Director of Integer Advisory and has over 12 years’ experience in advising Housing Associations and other organisations in the housing, care and wider public sector. Mark established the project investment division of a quoted facilities management contractor in 1997, and subsequently established the Local Government consultancy practice at Tribal Consulting, where he began advising Housing Associations including Great Places, Aster Group and Housing 21. 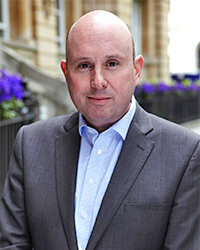 Mark then moved to PKF (UK) LLP in April 2008 where Mark was a Partner and led the Housing & Care Consultancy practice, advising existing clients and others including Together Group, Your Housing, Thames Valley HA and both the Tenant Services Authority and the Homes and Communities Agency. In April 2013 Mark established Integer Advisory in partnership with Devonshires Solicitors. Mark has advised Registered Providers including Asra Housing Group, Incommunities, Viridian, Housing&Care21, Your Housing, CCHT and Together Group, along with Local Authorities including Kent, Stoke, Camden and Westminster. Mark advises both Executives and Board of RPs on high-value projects, risk and governance and also provides Lead Adviser and financial due diligence support to Providers considering mergers and other forms of partnership. In addition to his role with Integer Advisory, Mark is also a Board Member at Fortis Living, where he also chairs the Audit and Risk Committee, and is a Non Executive Director of Worcestershire Telecare Limited.